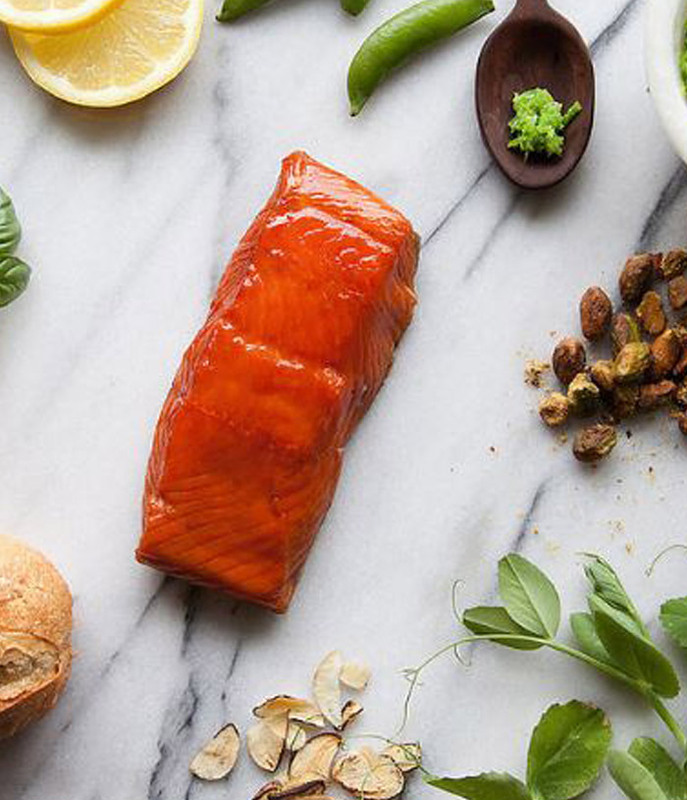 113g (4oz ) pieces, blast frozen Alaskan Salmon Singapore. 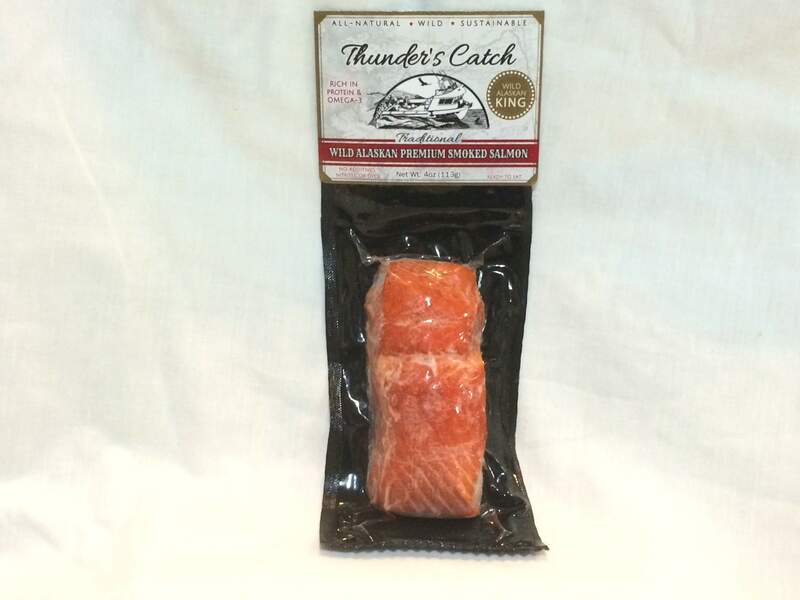 Wild Alaskan King (Chinook) Salmon caught by the fishermen at Thunder’s Catch, using all-natural hardwood hot smoke, touch of brown sugar, salt and spices to get the perfect Smoked Salmon taste. 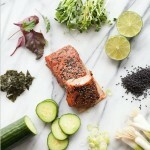 Made with pure, all-natural ingredients (100% natural with no chemical, additives or preservatives). 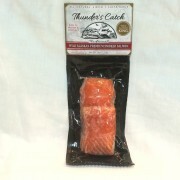 Thunder’s Catch pride their traditional smoked salmon as being the moist in texture, with layers of bold, classic smokey aroma and sweet, sugary undertones.